A 50-year-old Rochester man was shot to death on Woodman Park on the city’s east side early Sunday. Rochester police did not release the name of the man, who was found near 20 Woodman Park, just north of an intersection with Clifford Avenue, about 2:10 a.m. Sunday. Lt. Ron Malley of the Rochester Police Department said officers responded for a call of shots fired in the area. Once on scene, they found the injured man with multiple gunshot wounds to the upper body. The injured man was taken to Strong Memorial Hospital by Rural/Metro Medical Services ambulance, where he died from his injuries, Malley said. This entry was posted in Dead, Man, New York State on December 29, 2013 by usgunviolence. — Maurice A. Foster Jr., 23, who died after being shot Saturday evening in the 100 block of Domedion Avenue, which runs off Genesee Street near Schiller Park. This entry was posted in Dead, Man, New York State on December 28, 2013 by usgunviolence. Da’Quan Johnson and Moore are accused of traveling with other gang members to Highland Avenue and Jackson Street, ground held by their rivals, and firing into a crowd gathered at a candlelight vigil for a motorcyclist killed in an earlier bike accident. At 10:17 p.m. Arthur was shot in the chest. He died later that night at Jacobi Medical Center in the Bronx. Preet Bharara, the United States Attorney for the Southern District of New York, George Venizelos, the Assistant Director-in-Charge of the New York Field Office of the Federal Bureau of Investigation (“FBI”), and Charles Gardner, the Commissioner of the Yonkers Police Department, announced today the unsealing of charges against DA’QUAN JOHNSON, a/k/a “Bloody,” a/k/a “Buddha,” JAMES JOHNSON, a/k/a “Jimmy,” and KENNETH MOORE, a/k/a “Doogie” for a fatal shooting related to gang rivalry in Yonkers. DA’QUAN JOHNSON, JAMES JOHNSON, and MOORE are members and affiliates of the “Grimy Motherfuckers,” or “GMF,” a local, street-level gang operating in and around the Schlobohm Housing Project in Yonkers, New York. At its inception, GMF was aligned with the Strip Boyz, a different street gang that was likewise based in the Schlobohm Housing Project in Yonkers and was made up of members one generation older than most GMF members. GMF and the Strip Boyz controlled crack cocaine and marijuana sales in and around the Schlobohm Housing Project and were allied in disputes with rival gang members, including members of the Cliff Street Gangsters and the Elm Street Wolves, two gangs from the east side of Nepperhan Avenue in Yonkers. In late June and early July 2012, federal authorities arrested 20 members of the Strip Boyz on charges of narcotics distribution and/or firearm offenses in a case captioned United States v. Mark David, S1 12 Cr. 214 (ER) (S.D.N.Y.). All 20 defendants have pled guilty in satisfaction of the charges. The dispute between GMF and Highland resulted in members of those gangs committing numerous acts of violence against one another. With regard to the conduct that underlies the Indictment, on December 27, 2013, a shooting occurred in the vicinity of Palisade Avenue and Elm Street in Yonkers, which is territory controlled by GMF. After the shooting occurred, members of GMF received information that the individuals responsible for it were members of Highland. In retaliation for the shooting, the same night, DA’QUAN JOHNSON and KENNETH MOORE, along with other GMF members, traveled to territory controlled by Highland with the intent of retaliating. A GMF member then shot into a crowd that had congregated for a candlelight vigil at the intersection of Highland Avenue and Jackson Street. One of the bullets hit Tyrone Arthur in the chest, killing him. After the murder, JAMES JOHNSON took custody of the murder weapon and hid it from law enforcement. DA’QUAN JOHNSON, 23, of Yonkers, and MOORE, 24, of Mount Vernon, New York are charged with conspiracy to commit murder in aid of racketeering, in violation of Title 18, United States Code, Section 1959(a)(5); murder in aid of racketeering, in violation of Title 18, United States Code, Sections 1959(a)(1) and 2; and possessing a firearm in furtherance of a crime of violence resulting in death, in violation of Title 18, United States Code, Section 924(j). JAMES JOHNSON, 22, of Yonkers, is charged with being an accessory after the fact to the murder, in violation of Title 18, United States Code, Section 3. DA’QUON JOHNSON and JAMES JOHNSON were arrested this morning in Yonkers. They were presented before United States Magistrate Judge Judith C. McCarthy. KENNETH MOORE arrested in Georgia and presented in Atlanta federal court. Mr. Bharara praised the outstanding investigative work of the FBI’s Westchester Violent Crimes Task Force, which is comprised of agents and detectives of the FBI, Homeland Security Investigations, the City of Yonkers Police Department, the Westchester County Police, the Westchester County District Attorney’s Office. He also thanked the Westchester County District Attorney’s Office and the Atlanta Field Office of the FBI. He added that the investigation is continuing. The prosecution is being handled by the Office’s White Plains Division and Violent Crimes Unit. Assistant U.S. Attorney Scott Hartman is in charge of the prosecution. This entry was posted in Dead, Man, New York State on December 27, 2013 by usgunviolence. UTICA, N.Y. — Authorities say they’ve investigating the death of a man whose car crashed into a central New York building after he was shot. Police in Utica tell local media outlets that 25-year-old Andrew Mateo of Utica was inside his car when he got into an argument with someone who shot him around 5:30 p.m. Thursday. Officials say Mateo drove away from the scene but lost consciousness and drove into a dentistry building. Mateo was taken to St. Elizabeth Medical Center, where he was pronounced dead. This entry was posted in Dead, Man, New York State on December 26, 2013 by usgunviolence. Two young girls are grieving the brutal death of their father instead of looking forward to opening Christmas presents. “They are having a hard time of it and are up and down,” said Nabresha Hicks as she stood near a memorial set up at the corner of Grand and Elm streets where her husband and father of girls ages 9 and 13 was gunned down on the street just before 9 a.m. Monday. 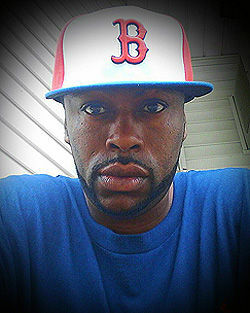 Sylvester Scott, 37, was Albany’s seventh homicide of the year. Not since 2009 have there been so many killings in the city. One of the stray rounds missed a 4-year-old girl by inches in a basement apartment near the shooting, her father said. ALBANY, N.Y. (NEWS10) – Albany County District Attorney David Soares said two Albany men were found guilty of a December 2013 murder. Kareem Murray, 33, and Russel Palmer, 48, were found guilty after a jury trial of one count of Murder in the Second Degree, one count of Conspiracy in the Second Degree, two counts of Criminal Possession of a Weapon in the Second Degree, and one count of Criminal Possession of a Controlled Substance in the Second Degree. 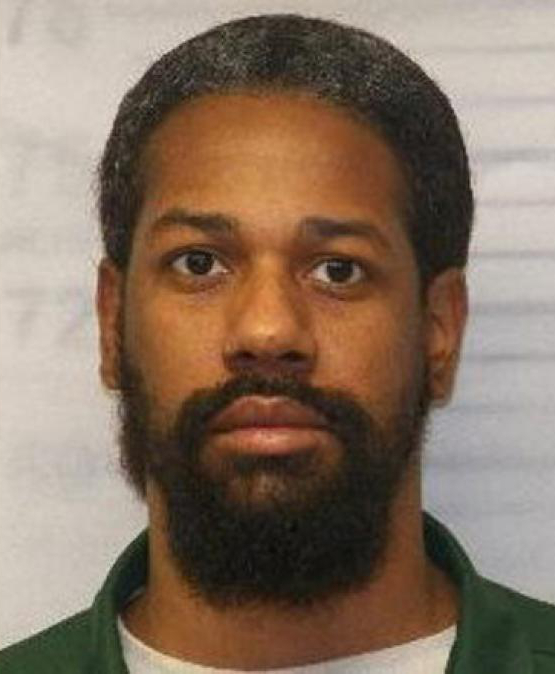 A long-term investigation found that on December 23, 2013, Murray and Palmer intentionally caused the death of 37-year-old Sylvester Scott of Albany by shooting him with a firearm, Soares said. The incident occurred outside 81 Grand St. in the city of Albany. When Kareem Murray learned that a female friend was sexually assaulted, he did not wait for the justice system. He teamed up with his uncle, fellow convicted felon Russell Palmer, and two days before Christmas in 2013 the two-man hit team exacted street justice on 37-year-old Sylvester “Soup” Scott, the man they believed was responsible for the attack. They killed the wrong man. On Monday, an Albany County judge sentenced both killers to 39 years to life in prison for Scott’s murder and for possessing felony weight cocaine found in a vehicle. This entry was posted in Dead, Man, New York State on December 23, 2013 by usgunviolence. 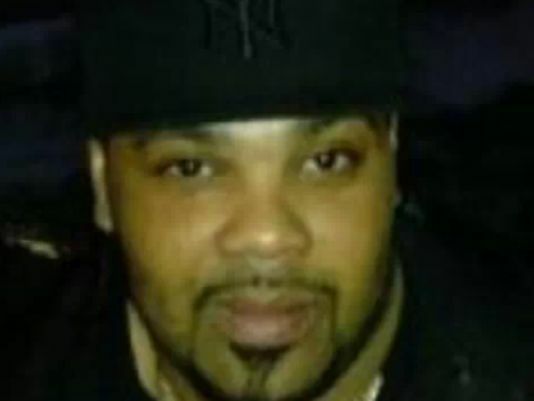 Buffalo police have identified the man killed in a shooting in Riverside Friday night. 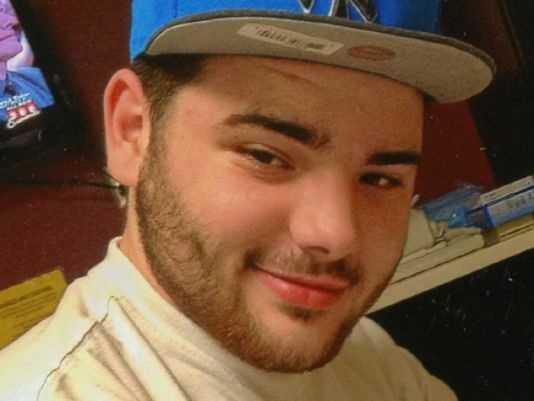 John Stein, 19, of Buffalo, was struck by gunfire in the first block of Humphrey Road. Detectives said officers initially responded to an accident call about 7 p.m. but when they arrived on the scene, they discovered a man had been shot. The victim was taken to Kenmore Mercy Hospital, police said. This entry was posted in Dead, Man, New York State on December 13, 2013 by usgunviolence.